Yana Kunitskaya will be making her Octagon return at UFC 229 on October 6th when she faces Lina Lansberg in a bantamweight contest, where Kunitskaya believes she will be more comfortable. 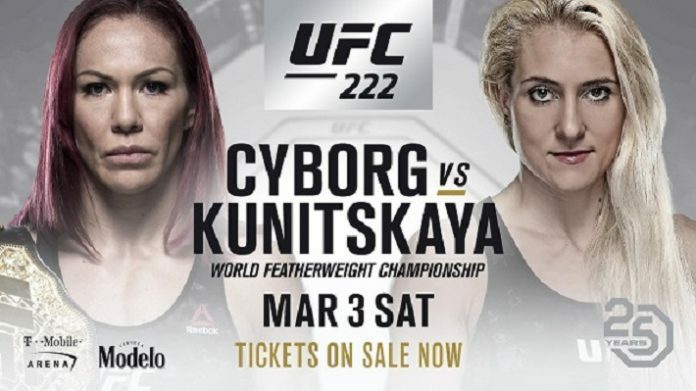 In her UFC debut, Yana Kunitskaya had the daunting task of Challenging Cris Cyborg for the featherweight championship, a division where Kunitskaya felt out of place. And as she looks to turn the page onto the second chapter of her UFC career, she told MMAJunke, “Nothing can be worse” than her UFC 222 experience. “I like her and I think we’re going to show a good fight,” Kunitskaya said. “And I’m sure I can dominate her everywhere. I see myself more strong in every position – in wrestling, in grappling – and I think we’ll make a good standup fight. So I think it’s very nice chance for me. Do you think Yana Kunitskaya will have a better performance in the Octagon this time around as she faces Lina Lansberg at UFC 229?